Good governance involves balancing the interests of a company’s stakeholders – including shareholders, management, customers, suppliers, financiers, government and even the community. Not all companies follow the same model and there are different approaches in every country, but recent months have witnessed a slew of international efforts to improve and better harmonise corporate governance practices. In Malaysia, the Institute of Corporate Directors (ICDM) has been set up as a dedicated body to enhance the professionalism and effectiveness of corporate directors in the country. The main objective of the new institute is to promote excellence, integrity and the highest level of skills and professional competence among Malaysian corporate directors, according to the Securities Commission Malaysia. It also aims to promote the adoption and application of corporate governance practices, besides representing the interest of its members. In Singapore, a revised corporate governance code aims to encourage board renewal and strengthen director independence. The code is applicable to listed companies in Singapore on a comply-or-explain basis and requires companies to provide explanations for variations from its provisions or guidelines in their annual reports. Singapore Exchange RegCo has also recently announced a collaboration with the Securities Investors Association and the Singapore Institute of Directors to produce a guide on how directors and investors should best conduct themselves during shareholder meetings, as well as understand the recent code changes. In Thailand, there has been an increased commitment of Thai listed firms to engage in a continuous development of corporate governance standards. According to the 2018 Corporate Governance Report of Thai Listed Companies, there are 79 listed companies with outstanding performance on environmental, social and governance aspects, an increase of 14 firms from 2017. In Japan, the government has worked hard on corporate governance reforms in recent years and most recently the Ministry of Economy, Trade and Industry revised its corporate governance guidelines. The changes require listed companies to take additional measures, including not only mere disclosure but also additional board involvement in assessment and decision-making. In Australia, the ASX Corporate Governance Council has proposed to transform key areas of corporate governance in the country. It believes the fourth edition of its Corporate Governance Principles and Recommendations will address emerging domestic and global issues in corporate governance, including corporate values and culture, whistleblower policies and anti-bribery/corruption policies. 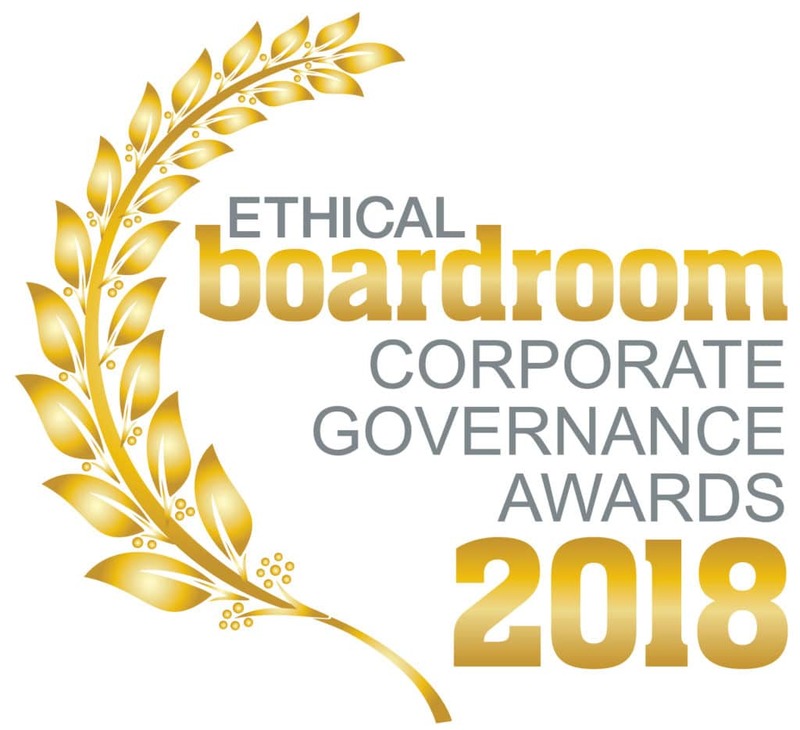 Ethical Boardroom is proud to announce the winners of “Best Corporate Governance” in their respective industry sectors across Asia & Australasia for 2018. The awards recognise the outstanding leadership from boards who have raised the bar to ensure that strong corporate governance plays an essential part in protecting and enhancing long-term value for all stakeholders. Our awards program is a vital part of our continuing mission to elevate corporate governance standards globally. For those who have made it to the top of the mountain for 2018, we salute you for leading the way.